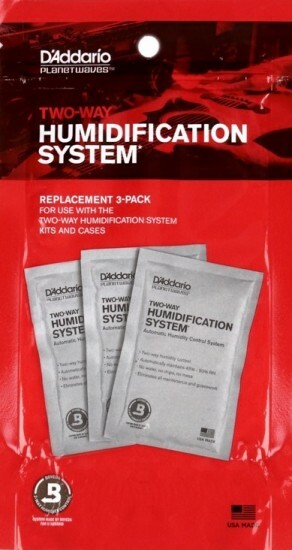 A very easy way to consistently maintain humidity on a classical or steel string guitar. Since these packs first came out and never had a problem. I use them year round in my guitar cases summers in the northwest are humid. They work great removing excess moisture in summer and keep my guitars in cases from getting to dry in the winter. No mess no worry I seem to get at least 3 months or more out of these packs.